Clear, haze-free glass in no time! Griot’s Garage Glass Cleaning Cloths are a specialized towel designed specifically to remove all contaminants and smudges from glass safely and effectively. 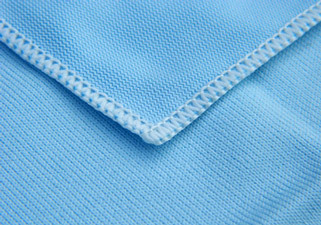 The tightly woven microfiber is lint-free and will leave you with crystal clear, streak-free glass. Having dirty glass on your car is like having that itch you can’t scratch. You see it every time the sun hits that perfect angle and it drives you a little crazier each time. And no matter what you try, it still streaks! The continued streaking may be caused by the type of towel you are using with your preferred glass cleaner. 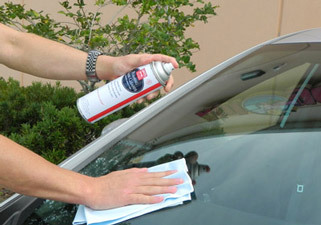 When used with Griot's Garage Foaming Glass Cleaner, your glass will clean and streak-free! Griot's Garage Glass Cleaning Cloths use a tight weave for optimum dirt and dust removal. Griot’s Garage Glass Cleaning Cloths are a soft microfiber blend featuring a tight weave for maximum cleaning ability. While perfect for buffing out wax and polish, towels with a thick, plush nap may lint and leave streaks behind. When cleaning glass, it’s important to use a specialized towel that doesn’t lint. Griot’s Garage Glass Cleaning Clothes use that special tight weave to grab and hold on to oils, dust, dirt, and other debris to leave a perfect shine. When used with Griots Garage Foaming Glass Cleaner, the Griot’s Garage Glass Cleaning Cloths will leave your glass clean and clear – just what you’ve been trying for!